Nvidia CEO Jen-Hsun Huang has confirmed to CNET that his company is working with Microsoft on the second generation of its Surface tablet line. “Now we’re going to bring it with the second-generation Surface. We’re working really hard on it, and we hope that it’s going to be a big success,” he reportedly said, while noting that the next ARM-based version will include support for Outlook. The fact that Microsoft has its head down on a follow-up to the Surface doesn’t come as much of a surprise, but it is interesting to see one of its partners discuss the project so openly at this point. 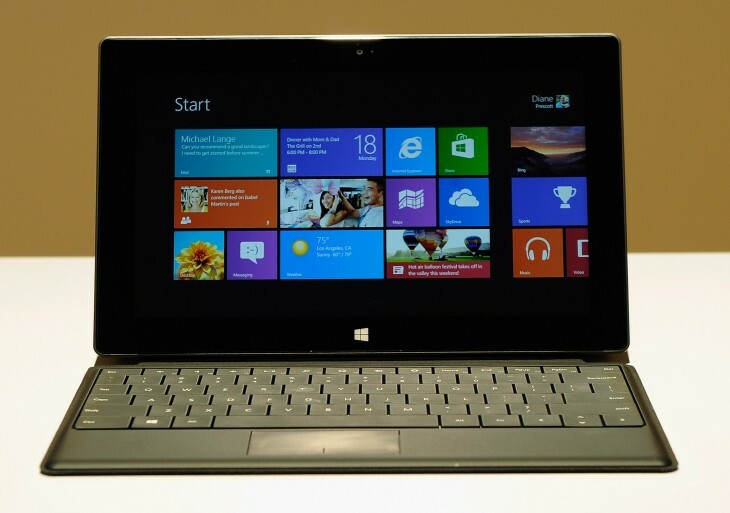 As of June 30, Microsoft’s Surface project had brought in just $853 million in revenue. Considering that Microsoft took a $900 million inventory write-down for the line and spent an extra $898 million last fiscal year on increased Windows 8 and Surface advertising costs, signs point to the tablets as having been a financial failure. Still, Microsoft has plenty of money to sink into the project, and it likely started work on the next version of Surface devices before it had even released the first generation. The firm can afford to lose a few billion dollars getting Surface off the ground; it can’t afford to surrender the high-growth tablet market to the likes of Apple and Google, especially if PC shipments continue to stagnate. Microsoft declined to comment when contacted by The Next Web.